Cover photograph shows the R/V JOIDES Resolution from a drone on 4 August 2017 at Site U1506 on northern Lord Howe Rise, Zealandia. Photo credit: Adam Kurtz and IODP JRSO. 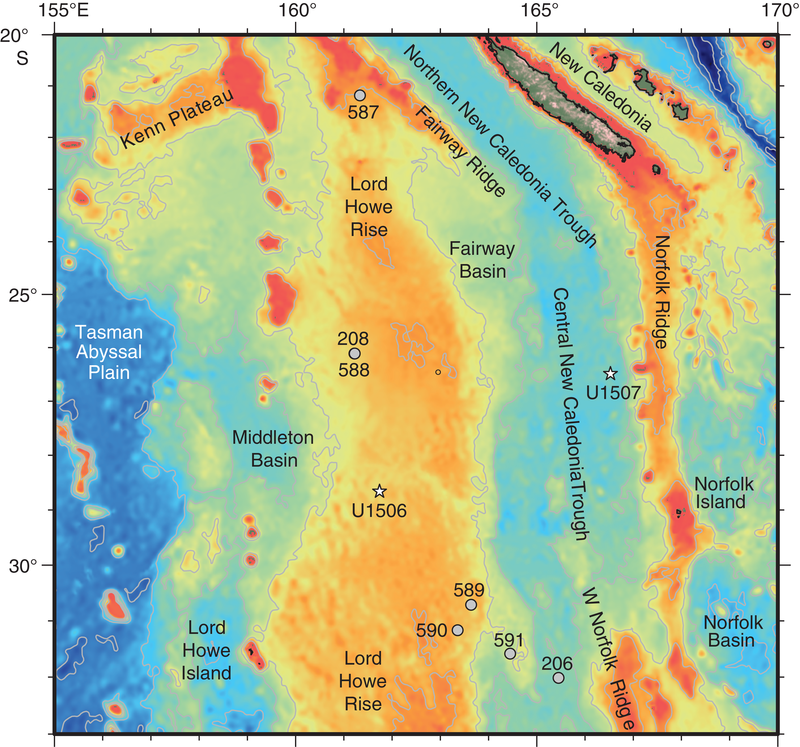 Examples of how to cite this volume or part of this volume are available at http://publications.iodp.org/proceedings/371/371title.html#bib. Supplementary material for the Volume 371 expedition reports includes age models and DESClogik workbooks in Microsoft Excel fomat, cleaned track data in CSV format, and Rig Instrumentation System files in ASC format. A full list of directories can be found in SUPP_MAT in the volume zip folder or on the Supplementary material for Volume 371 expedition reports web page. The Expedition 371 science party thanks the personnel aboard the R/V JOIDES Resolution for their skill, hard work, and professionalism. We particularly acknowledge the technical support staff for their superb attitude and dedication throughout the expedition and the operational and engineering staff from both the JOIDES Resolution Science Operator (JRSO) and Siem Offshore AS for their help and guidance with drilling operations and logistics, which were complicated by difficult geology, weather, a medical emergency, and a change of the Master of the Drilling Vessel during the voyage. 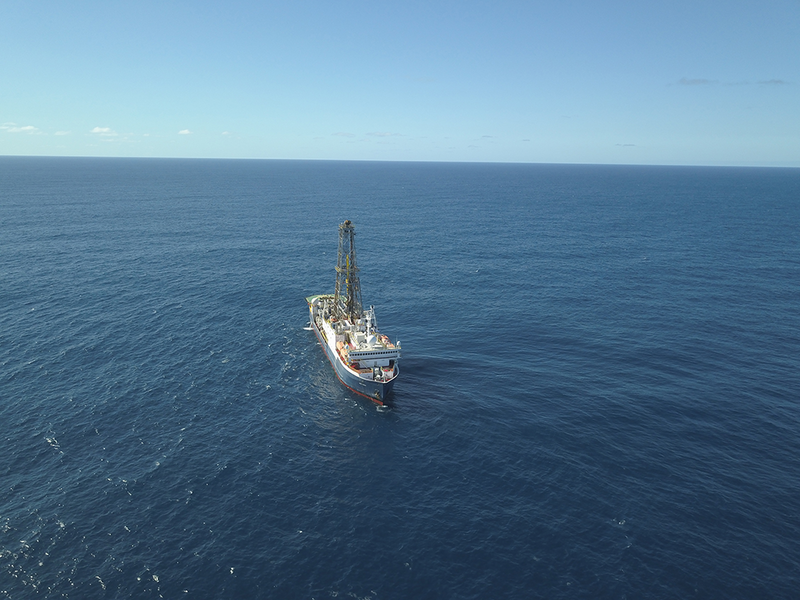 The expedition was made possible by shore-based International Ocean Discovery Program (IODP) staff who helped before, during, and after the expedition. 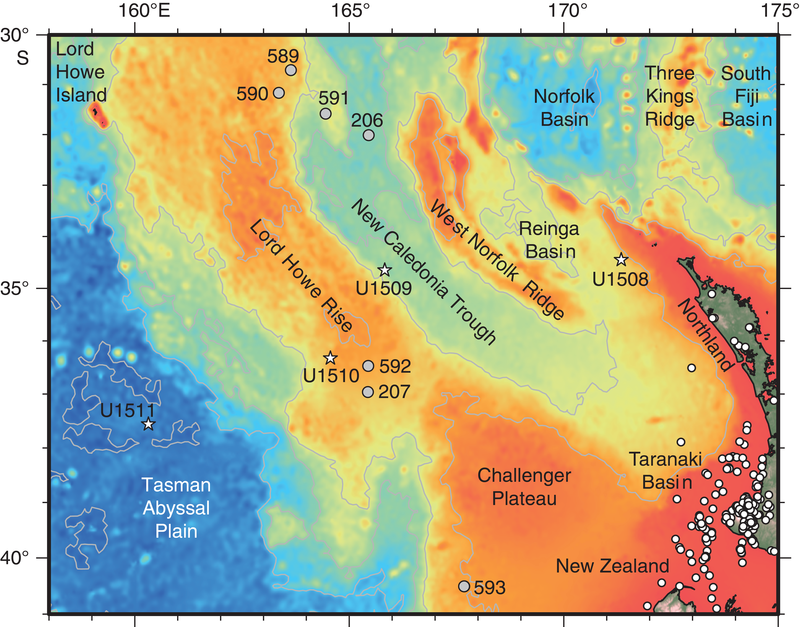 We thank the scientists who were original proponents but unable to participate and the many people involved in site survey data compilation and new acquisition, particularly those involved in the TAN1312, TAN1409, and Tectonic Event of the Cenozoic in the Tasman Area (TECTA) voyages. The governments of New Zealand, France, and New Caledonia funded the site survey voyages, and the government of Australia made data available to the project. 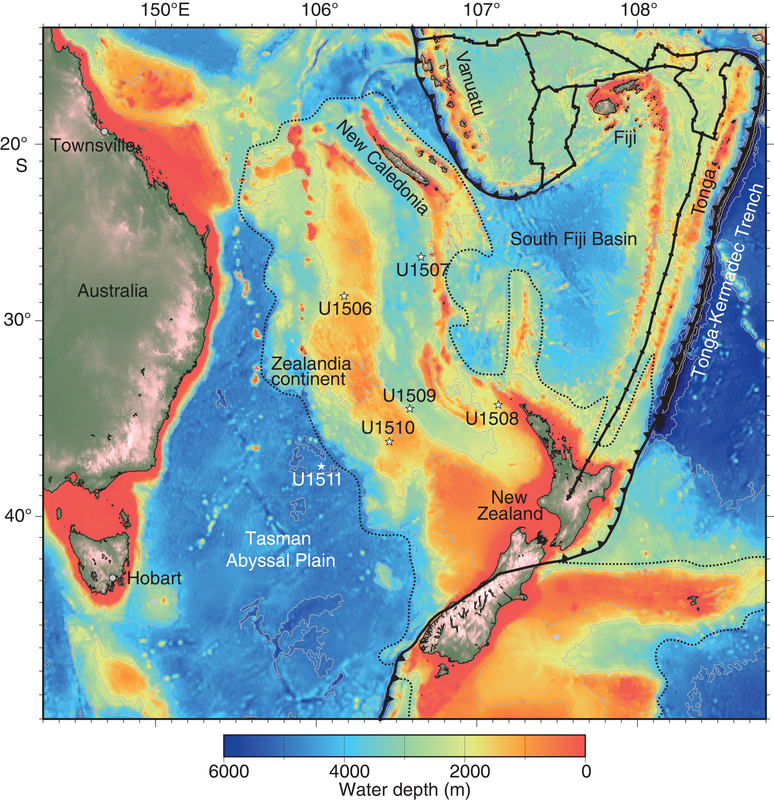 Workshops that nurtured this proposal were funded by the Australia-New Zealand IODP Consortium (ANZIC) (Australia and New Zealand) and the National Science Foundation (USA).